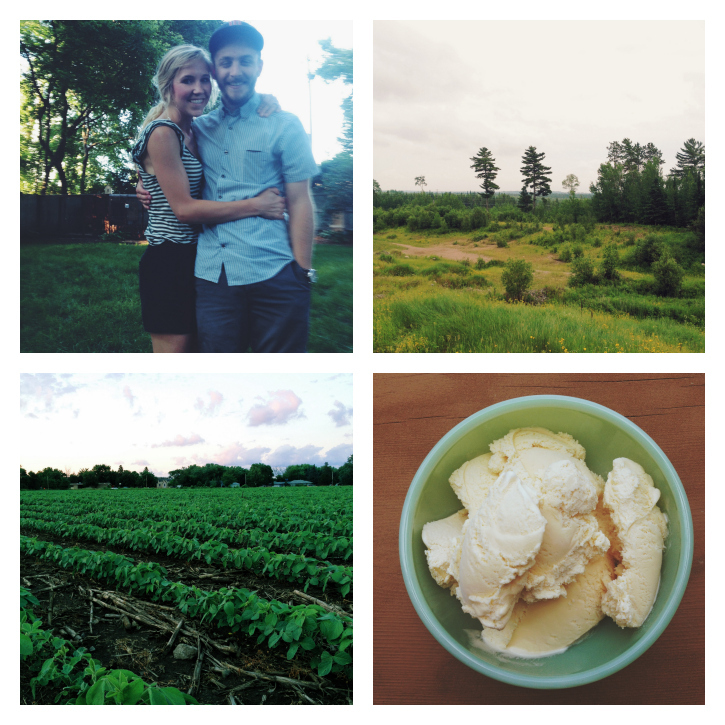 1 & 2// we went down to our dear friends, our former youth pastors in northfield a few weeks ago. we had such a blast hanging out and spending time with their family who we have grown close to over the past several years. this little lady, sally was the flower girl in our wedding and is just a gem! 3 &4// chad and i riding in our friends jeep with the top down. it was like a movie, a perfect summer night! 5// more chinese fire balloons, they are so fun! 6// baby at the lake. 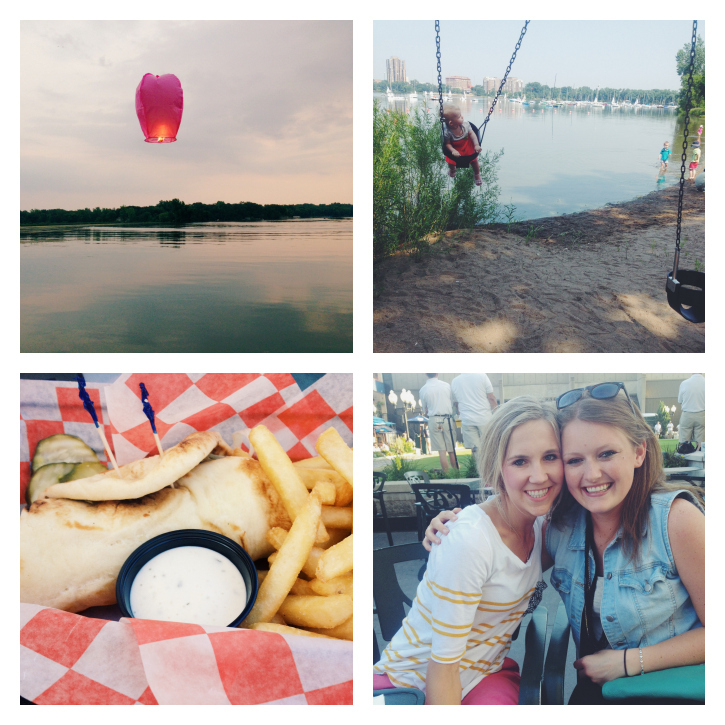 i think she already loves lakes as much as i do :) 7// dinner at brits pub for my dear friend kelly! i got this amazing pita wrap thing that somehow doesn't contain gluten. yum! 8// kel and i on her birthday. we have been friends for over ten years! 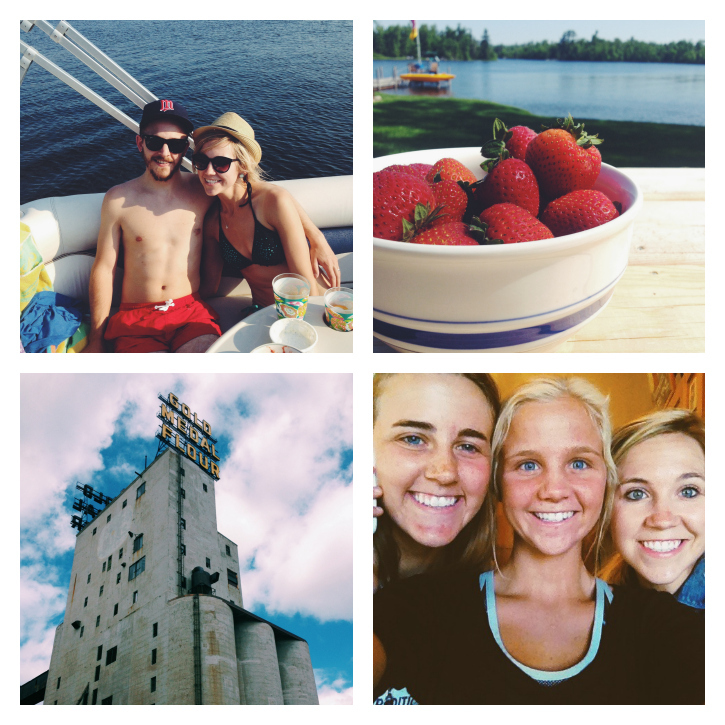 9// chad and i on a boat, what else is new ;) 10// if you are going to be at a lake, you gotta have berries! 11// isn't minneapolis just beautiful? 12// my sister laurel, who is biking across the country, was in minnesota over the 4th. so we naturally had to have a little sister time. i miss her so much and cannot wait until she is home again! i recently started a new job at a local university as a research aid. i am loving it but am feeling a little overwhelmed. i am still nannying but decreased my hours. so to say it simply, i have been keeping myself pretty busy this summer with the two jobs while attending school and trying to be a wife/good family member/ and friend. i love it, but i just don't feel like i have enough time in the day. life is too short. i am also on a strawberry kick. i feel like i am buying cartons like they are going out of business. they are just so so fresh right now i cant contain myself. good thing they are pretty reasonably priced right now! what have you been up to lately? 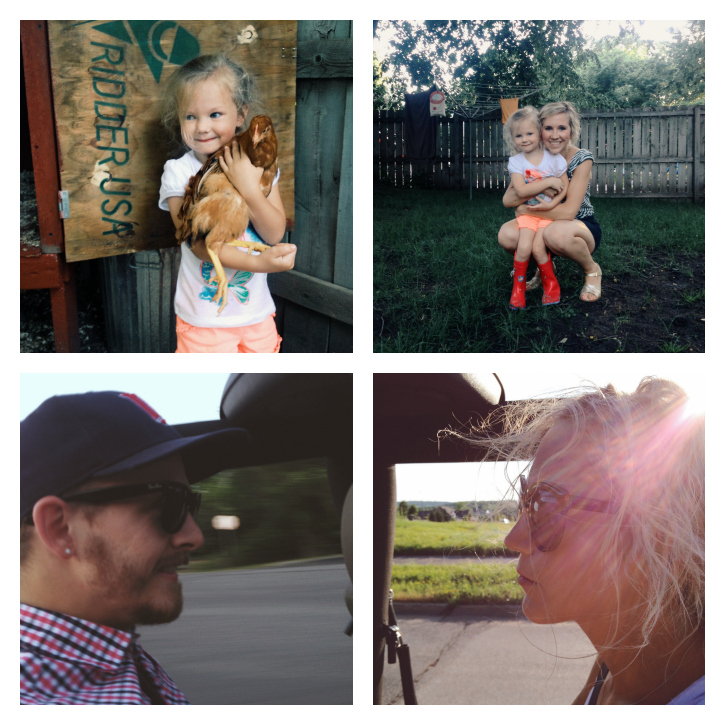 link up with us and tell us/share your iphone photos! OH this looks like amazing summer fun! I love Brits pub they have such a fun atmosphere! I love the chinese lantern! I have two I need to light off but I always heard they are illegal??? I'm coming to the cities this weekend for the Color Run ... I can't wait to sit downtown have some drinks and catch the Farmer's Market on Saturday! Oh and I love your soybean photo! !